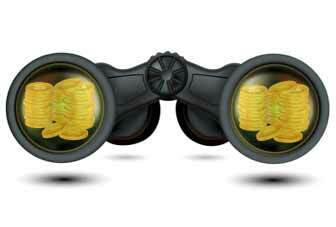 Devaluing Humans Through An Economic Lens | Business Article | MBA Skool-Study.Learn.Share. I am a “Fin” person. That does not mean that I am interested in finance, or understand it well. It simply means I attend a lot of finance classes, at times wondering, why do things have to be so complex? And then I pass on to another World, a World where exchange is not accompanied by rate, and there is no expansionary pressure on my brain. During one of my several “self-exploratory trips” when the professor was busy teaching how economies in Mexico and Asia collapsed, a crucial thought struck me. Interest rate is to money, what associative popularity is to human beings. Money is fickle. It flows to countries that offer high interest rates. Once there, it gives an illusion that it will always remain there, through thick and thin. Domestic entities comprising of citizens and corporations borrow, expand and consume. Dependency increases. Expectation of money inflow becomes a core assumption in how these entities, along with the Government, operate. And then, one day, if adequate capital controls on outflows are non-existent, money deserts this country in order to satiate its desire for a higher return in another country. Money keeps moving to where it finds its maximum benefit, without thinking of the devastation caused. Look at human beings. They are attracted to what is popular at that instant. It was Spain when it won Euro Cup; Federer when he won Wimbledon. Out of the 66 contacts on my Blackberry, suddenly 24 were claiming Spain to be their team, and 37 were claiming Federer to be their eternal choice since the fifteenth century. I am pretty sure not even half of them know the frequency of these tournaments, the number of participants or even the rules! Yet, it gives them popularity to be associated with a winner, to proclaim on Facebook or Twitter how they had predicted the victory of their heroes. Most human beings even choose the people they hang out with in a similar way. They will befriend people who would get them maximum popularity. You will find actors, models, student coordinators at colleges, businessmen flocked by people wanting to associate with them. They will claim to be your friends, your go-to people. You will start depending on them, and the relationship would work out fine until one day when they realize their purpose would be better served by associating with another person. They will shift their time and energies. The only way to make these money equivalent human beings stick to you is to have capital controls on their outflow. What these controls should be is for you to decide. They could range from a business partnership to marriage. But do have them. So that one day, when your popularity ceases, you are not left with a negative credit rating, and have somebody to fall back on. This article has been authored by Shreshth Toteja from IIM Indore.